So said assistant curator of costume and textiles at FIT, while giving a tour of the new exhibit at The Museum at FIT entitled Faking It: Originals, Copies, and Counterfeits. It begins chronologically with a 1903 House of Worth afternoon dress of purple silk, velvet, chenille, chiffon and bullion fringe somehow reminding me of Scarlett O'Hara's curtain couture. Charles Frederick Worth was essentially the first signature "designer label" in history and so, became a mark for forgers. In 1913, couturier Paul Poiret visited the United States only to find that illegal copies of his designs, even bearing his label, were selling for as little as $13. Poiret fought back by trademarking his label since fashion designs were not copyrighted inAmerica as they were in Paris by France's Chambre Syndicale de la Haute Couture. In the early '20s, Couturiere Madeleine Vionnet not only registered photos of her designs but also began using her thumbprint on her label (take that Inspector Clouseau). She sought to develop an extremely complex beading technique with embroiderer Albert Lesage that would be impossible to reproduce (as seen on her 1924 "Little Horses" dress) however even this plan did not completely foil the copyists. 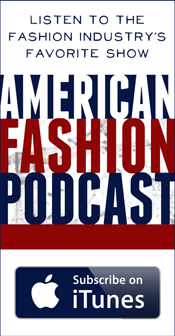 With the development of the Fashion Originators' Guild of America in the 1930's, a group which allowed designers to register their work, and called for manufacturers to "red card" or refuse to do business with retailers selling knockoffs of registered garments, it seemed a plan was hatched. Victory was short-lived however; in 1941 the Federal Trade Commission disbanded the U.S. guild for "eliminating the right to free competition." Department stores after WWII, became instrumental in creating licensed copies of Parisian styles including those of Balmain, Dior and Jean Desses. Retail establishments such as Bergdorf Goodman, I. Magnin or Ohrbach's would receive couture samples on bond for six months and would present their copies alongside the originals demonstrating their spot-on reproductions. Eventually, quality got watered down when inauthentic copies started to filter in from unscrupulous dealers. 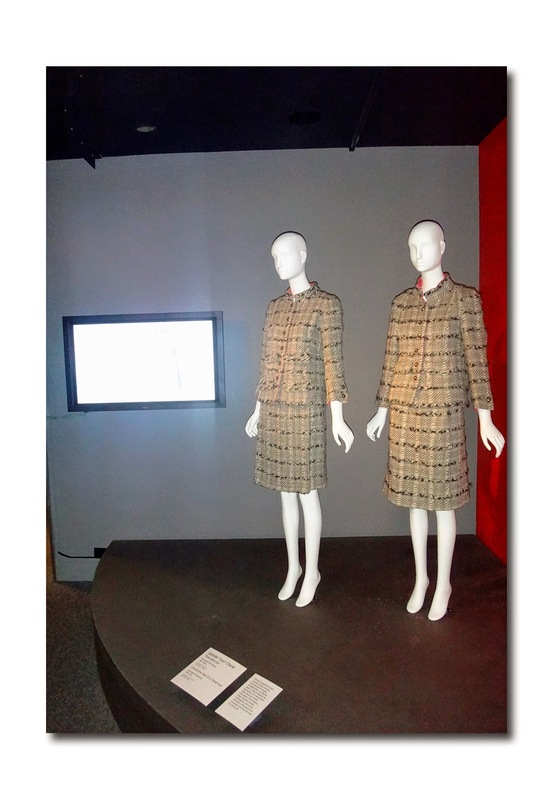 As illustration, the entrance to the exhibit features two "identical" Chanel suits, only they're not identical. Upon closer inspection you can see how costs were cut and details were skipped in order to make the copies more cost effective. An advertisement on the wall features designs that were available at Macy's during the '50s that were alluded to as being from "Monsieur X, Monsieur Y, and Monsieur Z", code names for Dior, Jacques Fath and Givenchy. Another poster shows Monsieur Givenchy with one hand up towards the camera lens as he attempts to block a photo of his work. Directly underneath is another newspaper ad which was censored by the Chambre Syndicale and obscures the designs coming down the runway. The model's have thick, black Slinky-type conical lines around the photos of their clothing which reminded me of the secrecy that used to shroud the roll-out of the new season's auto designs. As the shift to ready-to-wear occurred, an early casualty was Pierre Cardin who was expelled from the Chambre Syndicale. Andre Courreges followed and eventually Yves Saint Laurent but by the time he did an RTW line they had adapted and were used to it. In 1959, the result of a landmark lawsuit saw Emilio Pucci copyrighting his patterns, eventually even incorporating his signature of "Emilio" into his fabric's design patterns. 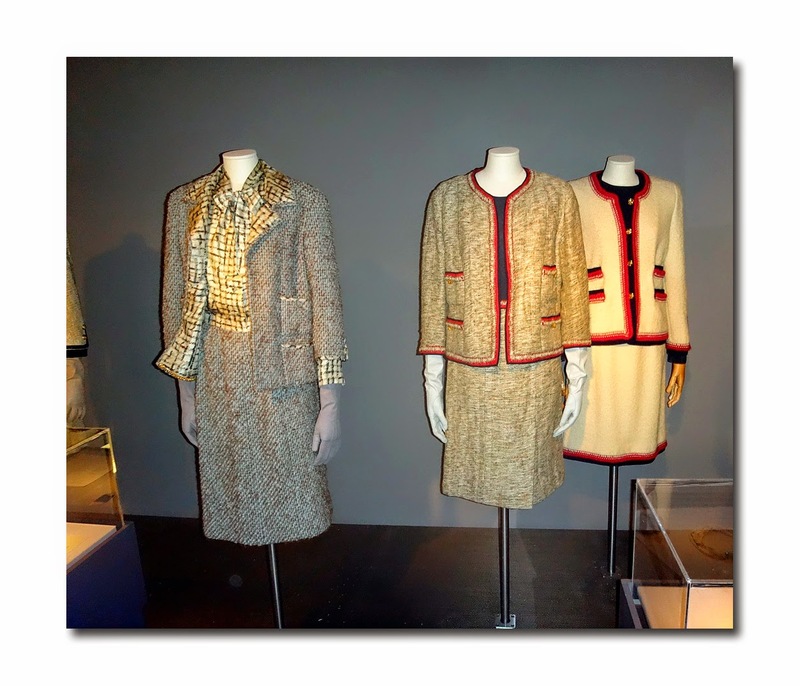 Coco Chanel is still the most copied designer as referenced by three Chanel-like suits grouped together by Scherrer, Chanel and Adolfo who made a career out of copying Chanel. Apparently she didn't mind and is quoted as saying "If mine are copied, so much the better.Ideas are made to be communicated." In a display case you can even see a "Fiche de References" which includes a sketch of a Chanel suit, samples of materials and a list of where to buy everything needed to duplicate it. The exhibit moves on to designer's diffusion lines such as Moschino's Cheap amd Chic, Donna Karan's DKNY and even Missoni for Target as examples of gray areas in original design. Across from these are several examples where fashion was lifted directly from art or as Ms. Elia called it "A loophole for a designer to copy art." 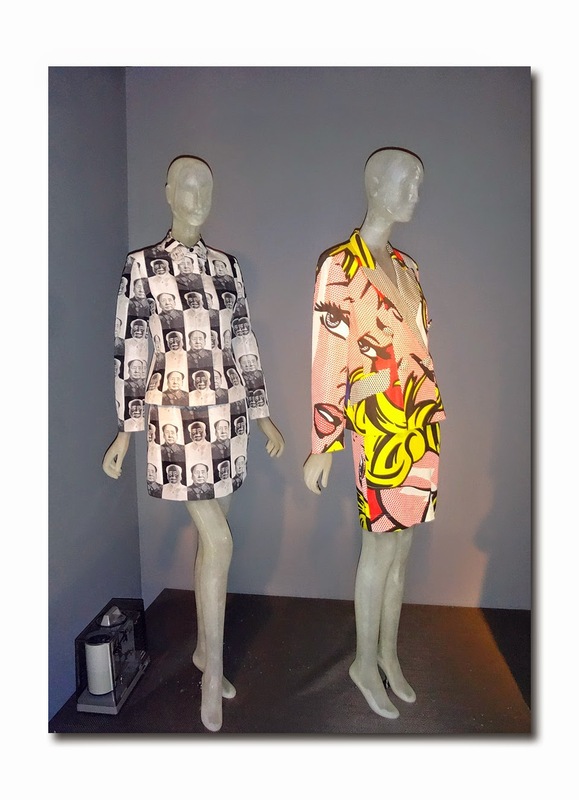 In the case of the Roy Lichtenstein/Moschino suit it was necessary to get a license from the artist. 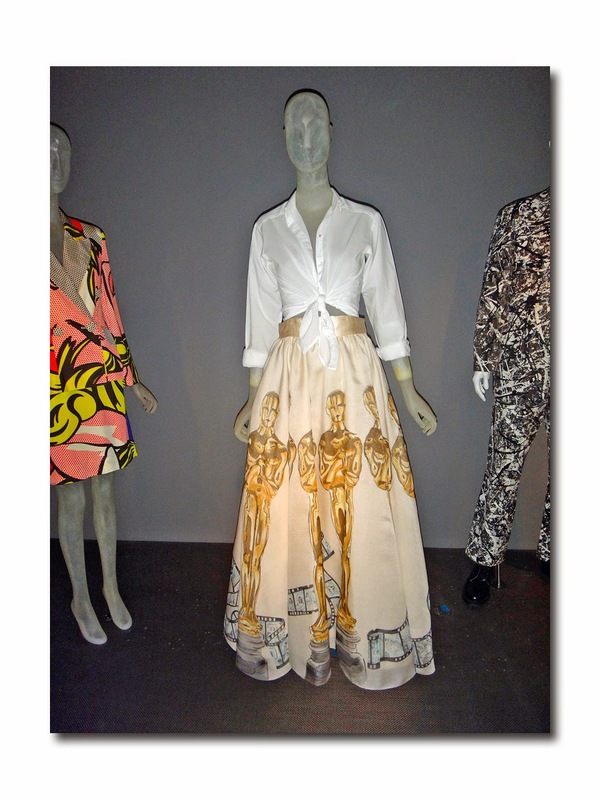 No sooner had Cindy Crawford donned this Marc Jacobs Oscar statuette long full skirt on the Academy Awards red carpet when Mr. Jacobs found himself with a huge trademark and copyright infringement issues; he was told that the Academy would sue him if that skirt was ever seen again. 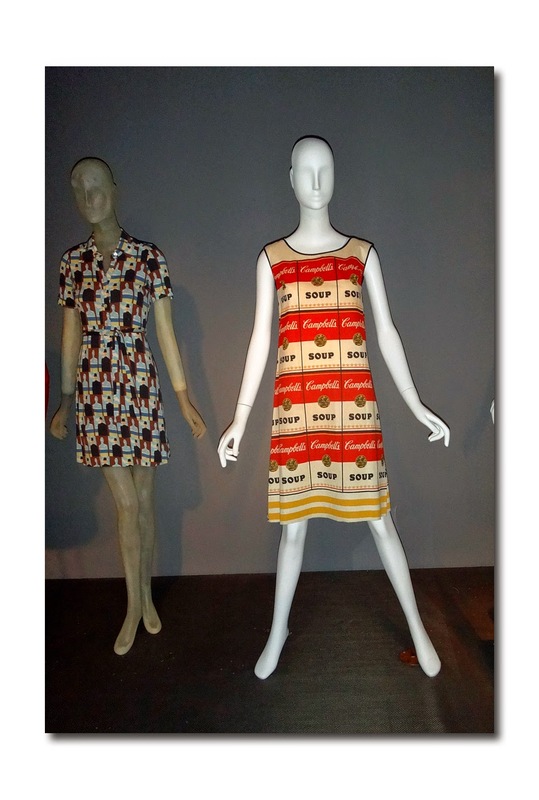 The Campbell's Soup Dress had a tastier ending: the company considered it great publicity and came full circle by using the Andy Warhol design on a paper dress, available if you mailed in a dollar and two soup can labels. Ms. Elia mentioned that these sell on eBay now for the very "Umm Umm good" price of about $3,000. Several designers have appropriated the artist Piet Mondrian's work including Yves Saint Laurent however the first was a 1961 Jr's dress by Anne Klein shown here in an ad. 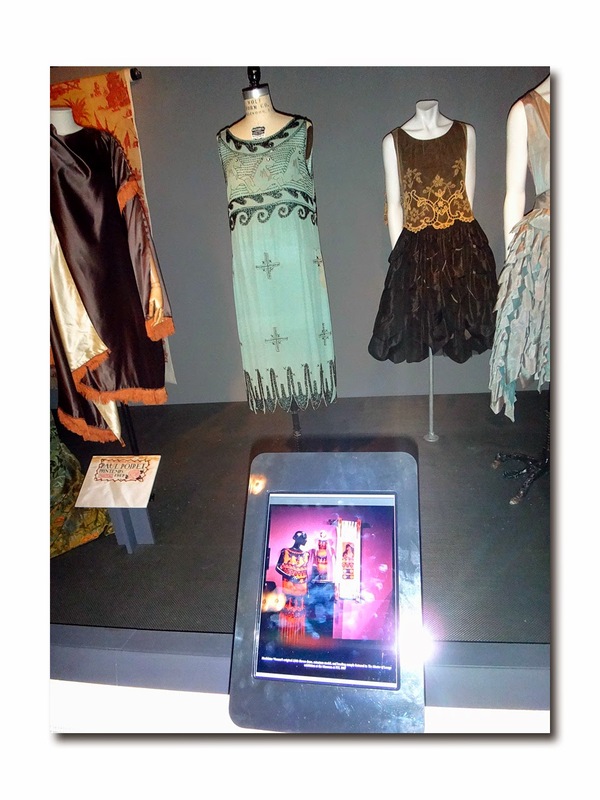 The final section of the exhibit focuses on counterfeit fashions. 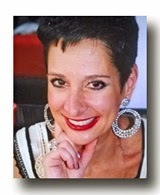 "At the worst, counterfeit fashion finances terrorism, the drug trade and almost certainly child labor," said Ms. Elia. She pointed to a wall of real vs. knockoff fashions and accessories and from the outside you would perhaps be fooled. "The inside always tells" she cautioned. Red flags are poor stitching, and particularly with Chanel bags, be wary of mismatched quilting as it will always be matched perfectly on the real thing. The lack of an ability to copyright fashion is the secret to the Zara/Celine knockoffs. Whereas back in the early '20s, during the time of expert copyist Elizabeth Hawes ("Fashion is Spinach" is one of her books on the industry) who bragged that she would never copy anything without having held the original in her hand, the copyists today have only to see an item walk the runway. It will appear in the store within two weeks, often faster than the original. 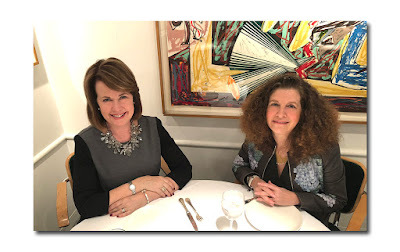 Ms. Elias mentioned that a store such as Zara will tend not to group the entire outfit together, preferring to hang the jacket in one place and the skirt in another, making it less obvious that it was a direct copy. Also on display is an 8-Ball Jacket from the '90s (originally designed by Michael Hoban for North Beach Leather) and facsimile, no doubt like the jacket that recently caused a brawl on the F-train: see Daily News article .There is also a video of Fashion Law Institute's Susan Scafidi and Valerie Salembier, CEO of the Authentics Foundation taking turns discussing the counterfeit industry and current initiatives that are being implemented to curtail illegal copying. A last laugh, if you will, is a small section considering what is Parody rather than plagiarism. 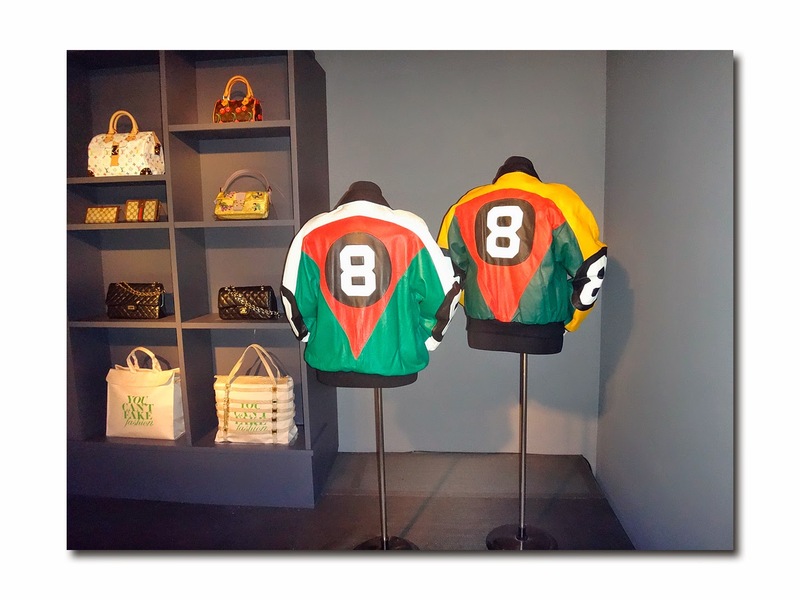 Examples of this include the ubiquitous Brian Lichtenberg Homies ensemble (a parody of Hermes), and AINT LAURENT t-shirt, a Yohji Yamamoto logo (double Y's riffing on the Louis Vuitton logo) and the "double arches" of last winter's Moschino/McDonald's collection. Ms. Elia mentioned that Jeremy Scott had to enquire McDonald's for a license for its use. I neglected to ask if he had licensed SpongeBob but I'm guessing he did or Nickelodeon might suggest Mr. Scott go "live in a pineapple under the sea." Faking It: Originals, Copies and Counterfeits is at The Museum at FIT from December 2, 2014-April 25, 2015 Museum hours: Tuesday-Friday, noon-8 pm; Saturday, 10 am-5 pm.